Alan's family has an extensive history and experience with agriculture. He left school when his family farm was devastated by bush fires and worked alongside his father and grandfather. Alan went on to complete a farm apprenticeship, wool classing certificate (including an elite wool classing), and sheep classing certificate. Alan continues to grow the mixed farming business and is relishing the challenge of developing a fully integrated farming and grazing business with commercial and stud Santa Gertrudis Cattle. On the other side of the state - Sonia's parents were running stud and commercial Hereford cattle and bloodstock. With a love of cattle and horses she joined Alan to run Riverslea Group. 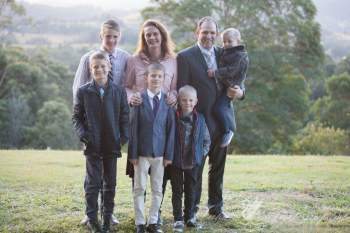 Their eldest son Lachlan is also involved in the business, especially with the backgrounding & grain fed cattle, and show cattle. 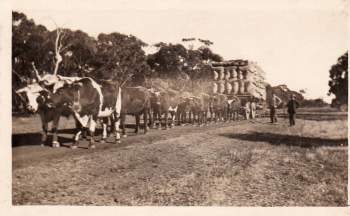 “Riverslea” was the name first used by Alan’s great great grandfather when he settled farm land at Lilicur (near Avoca) in central Victoria in the second half of the nineteenth century. The Riverslea Santa Gertrudis farming properties now include: "Stirling' Little Plain NSW, 'Glen Derra' Delungra NSW, 'Gragin Station' Gragin NSW, 'Wynella' Oakwood NSW and 'Riverslea' Adelaide Lead VIC.